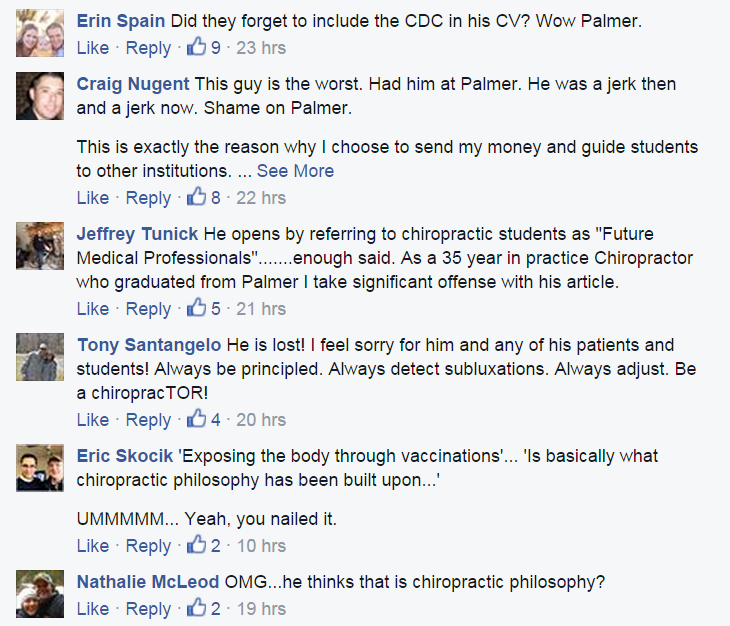 In the most recent June/July 2015 publication of the Palmer College Student Newspaper, The Beacon, the front page article has caused quite the controversy amongst many in the Chiropractic community. The three page article was the opinion piece of Palmer professor Tom Brozovich, DC. who shares his thoughts on vaccinations. 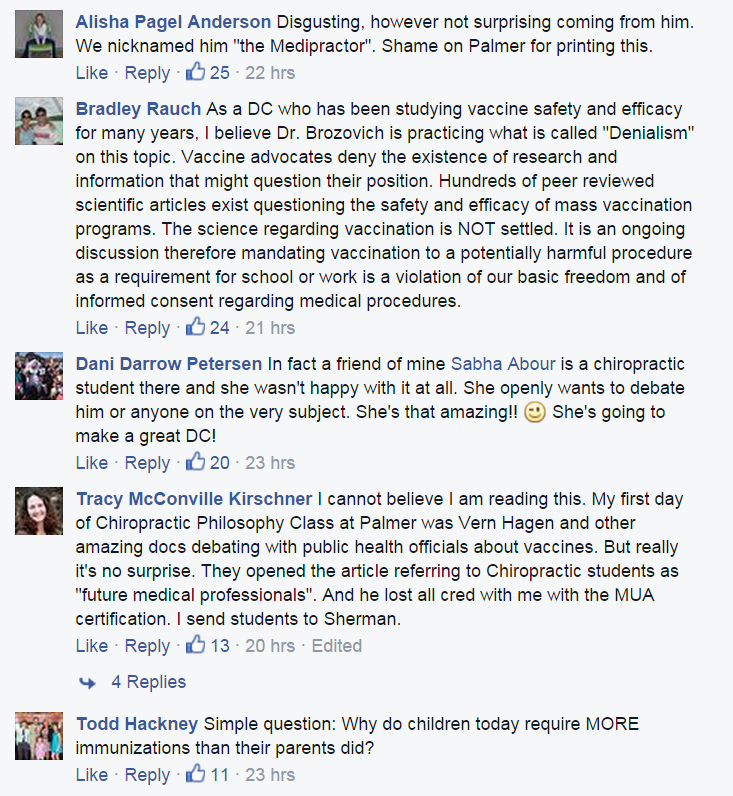 What has caused the uproar is that Dr. Brozovich expresses his approval and admiration for mass vaccinations, a belief that does not coincide with many in the profession. As soon as the publication went public, it instantly went viral on the social media and amassed hundreds of comments. Many who have reacted to the piece state that this gentlemen’s opinion is 180 degrees opposite of the Chiropractic profession. Some doctors are even claiming that “BJ Palmer and DD Palmer are rolling over in their graves to hear a Chiropractor advocating for vaccinations.” To make matters worse, the article was published by the student population newspaper at the same place held sacred by so many that is the “fountainhead” in Davenport, Iowa. The article challenges many philosophical premises which the profession and its founders based their beliefs. Some doctors are stating that Dr. Brozovich’s opinion flies directly in the face of vitalism and the belief that the body has the ability to self-regulate and heal from within. This article also sparks the issue of drugs in the the profession and advocates a more lenient approach to not remaining drugless (including vaccinations). Please click the image to read the entire article. 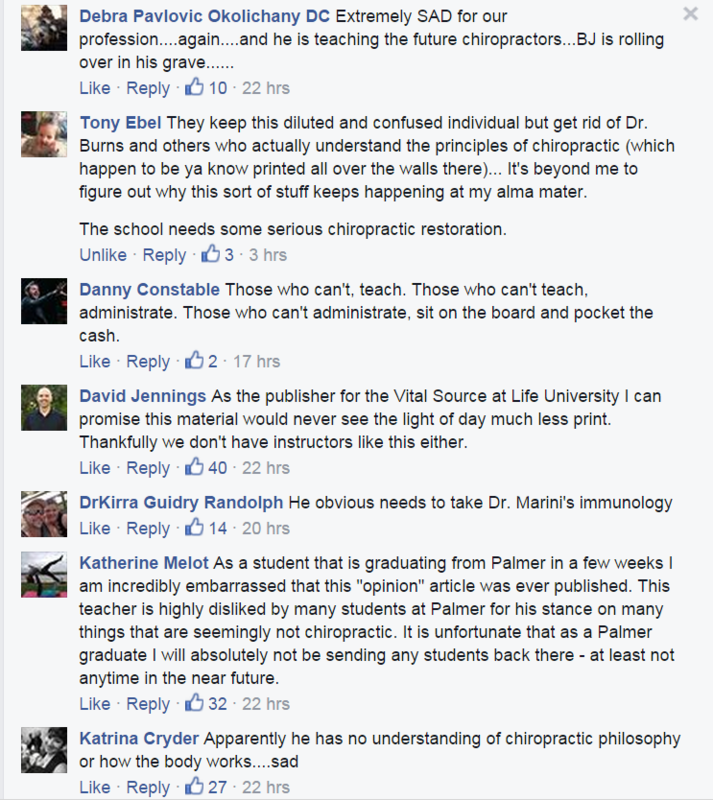 As many could imagine as soon as the paper was published and distributed to all three Palmer Chiropractic campuses, social media was abuzz. Here are some early reactions from alumni of Palmer and current Palmer students. In your opinion, does this article and the philosophy of Dr. Brozovich align with your beliefs as a Chiropractor? We want to know. Please leave your thoughts in the comment box below. Next articleCase of the Week: Doc, What’s With This Chest Pain?